Here are the top 10 Twilight Zone episodes Jordan Poole should remake. 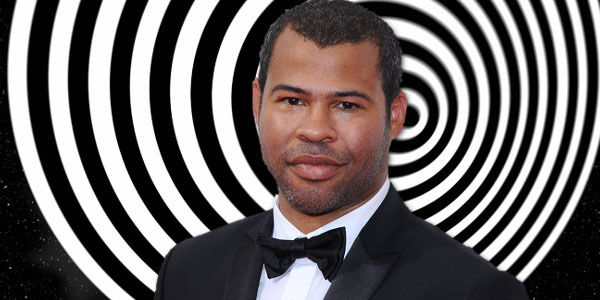 It was announced today that Oscar-winning director Jordan Peele is going to host a revival of the classic science fiction anthology series "The Twilight Zone". He's producing with CBS Television Studios and Simon Kinberg for the on-demand subscription service CBS All Access. 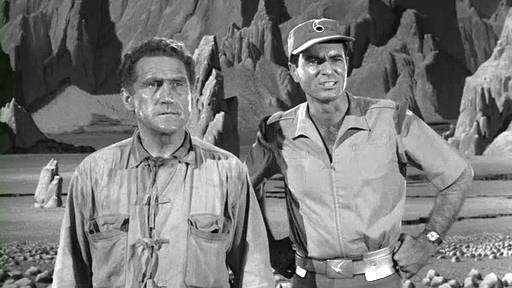 "The realization, for me, was that it was an opportunity to attempt to continue with Serling’s mission," Peele said. "If we approach it without ego and sort of bow to Serling, that will hopefully suffice for our fellow ‘Twilight Zone’ fans but also bring back a show that I think is needed right now. Because it’s a show that has always helped us look at ourselves, hold a mirror up to society." Peele is known for his radical approach to racial commentary on his sketch comedy show "Key& Peele" and "Get Out". Now he could bring that same sensibility to the new Twilight Zone. Here are eleven thoughtful and powerful episodes that they can remake. A woman has a flat tire in a remote part of the country. After getting it fixed she is followed by a mysterious man hitchhiking. She sees him across her journey miles away. Every time she stops she sees him. 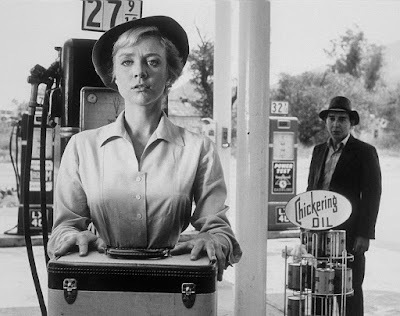 Finally, when she gets to her stop she realizes the horrifying truth about the man and her life. Why They Should Remake It: The idea of a weirdo hitchhiker is bad enough. 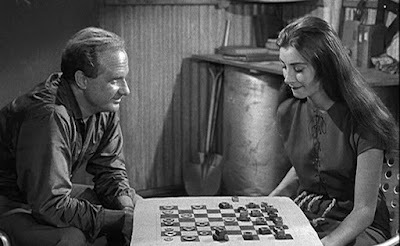 But if you make the woman White and the hitch-hiker Black it allows you to explore all kinds of ideas about prejudice. A woman wakes up in a hospital with her face covered in bandages. Throughout the story, we're told how hard her life has been because she's so "ugly". She hopes the plastic surgery will fix her face. 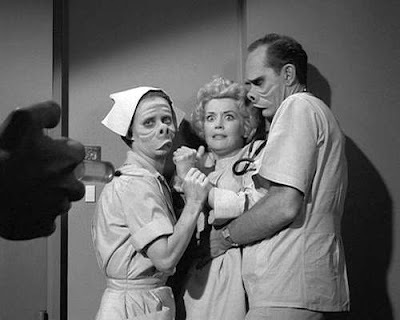 In the end, the bandages are removed to reveal a beautiful woman but the doctor says the surgery filed. It's then revealed that everyone else in the world is horribly disfigured and she's actually beautiful. Why They Should Remake It: The episode was remade in the rebooted series of the 2000's but it could still work. The blonde white woman is a powerful image. Now imagine if the woman was black in a world of white people. Even reversing that dynamic would be fascinating. 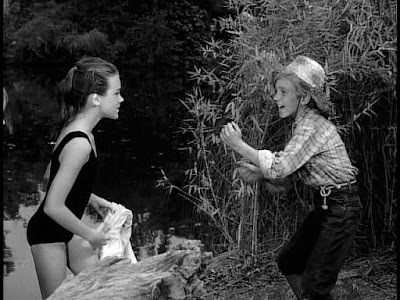 Written by Earl Hamner Jr.
A boy and girl from a rich family are lounging by the pool while their cold, uninterested parents argue behind them Suddenly a boy in a straw hat appears and tells them to follow him under the water. Nothing suspicious about that. So they jump in. They come out into a simple homestead full of various children living under the care and watchful eye of "Antie T". The place is warm and loving but they decide to go back home. Why They Should Remake It: Society is increasingly obsessed with electronic interactions and less on the simple comfort of home. This story would be a great reminder. plus, the idea of an upper-class white family who has two little children taken in by a kindly black woman would give the story a certain poignancy. 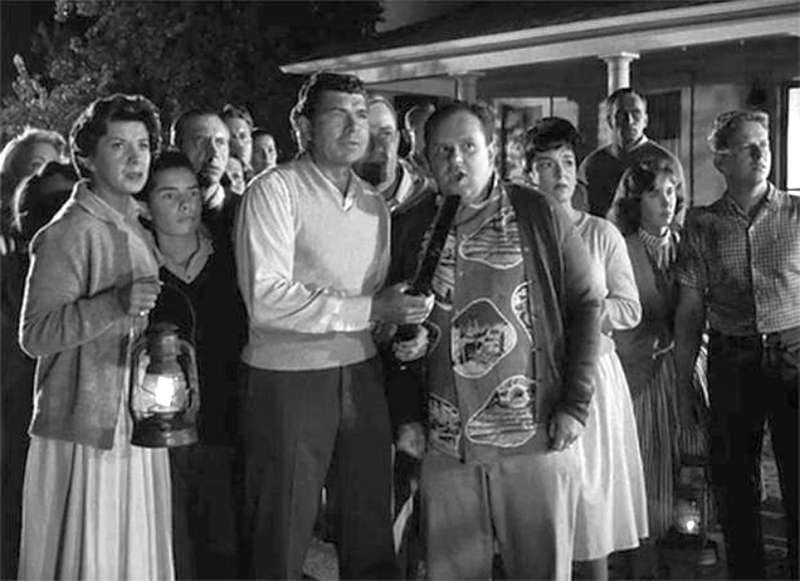 A small idyllic suburban street is thrown into darkness after a bright light flashes across the sky. The people living on the street start to believe that it's an attack by aliens and one of the families is actually a group of alien spies. One by one the families turn against one another as they become increasingly paranoid. The truth turns out to be more sinister than they could have imagined. 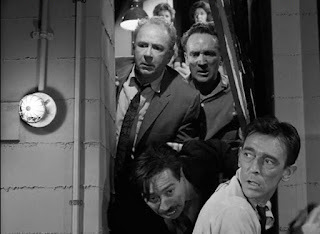 Why They Should Remake It: The original concept was a brilliant analogy of McCarthyism. Now imagine the neighbors separated by race. A middle-eastern couple, a black couple, a Hispanic man, a white family, and an Asian family. Suddenly there’s a subtle subtext of prejudice and racism. 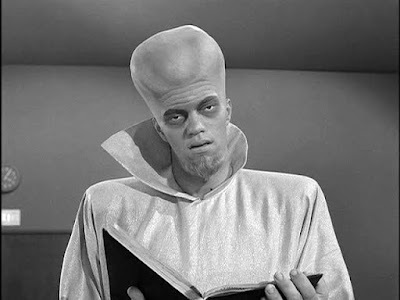 A spaceship arrives and the aliens promise they are only there to "serve man". The United Nations is skeptical at first but eventually is won over to the alien plan to transport humanity to an idyllic world. Unfortunately, the truth is learned too late. In the far future, a man is sentenced to solitary confinement on a distant asteroid. Eventually, he's given an android woman for company. When a ship arrives for a regular visit the convict is told he can go home but must leave behind the robot that he's grown to love. He's forced to make a heart-breaking decision before he runs out of time. Why They Should Remake It: The story at its heart is about the power of loneliness and how we make connections in extreme situations. But adding a racial element to it by casting a Black man as the prisoner would also allow the episode to explore the theme of institutional racism in the prison system. Would a White man have been left in solitary confinement on a distant asteroid for 50 years? What does it say about a society so heartless as to subject a man to complete isolation for 50 years in space? What effect would it have on his return to society? A warm suburban family is having a party for close friends when they learn about a wanting of a nuclear attack. The family has a bomb shelter but it only has enough room and supplies for the family of three. As the situation becomes more desperate the once close friends fight with each for a spot in the shelter. The long-simmering racism, nativism, and other suppressed emotions come to the surface with terrifying results. Why They Should Remake It: When this episode aired there was a looming nuclear crisis with Russia. The then-USSR gave an ultimatum demanding the withdrawal of Western armed forces from West Berlin and the crisis led to the building of the Berlin Wall that separated East and West Germany. We don’t usually think of fallout shelters today, but with all the nuclear crises going on right now it might not be a crazy idea. Plus, the episode already has themes of race and class as the formerly friendly neighbors fight among themselves. A man finds an old WWII Japanese sword and takes in a Japanese gardener for a beer. Soon it’s revealed that the sword, the boy and the man have a connection to each other that forces them to face the past and simmering racial tensions of the war. Why They Should Remake It: This episode was always about racism and is just as relevant today. While the story was relevant to audiences back in 1964 who may have remembered the events of Pearl Harbor imagine making a slight change to make it relevant today. Change the character of Taro from a Japanese gardener to a Middle-Eastern one and make his father one of the men who plotted the 9/11 New York attacks. It becomes a wonderful exploration of forgiveness and remorse. You’d probably have to change the ending because it still wouldn’t make sense. 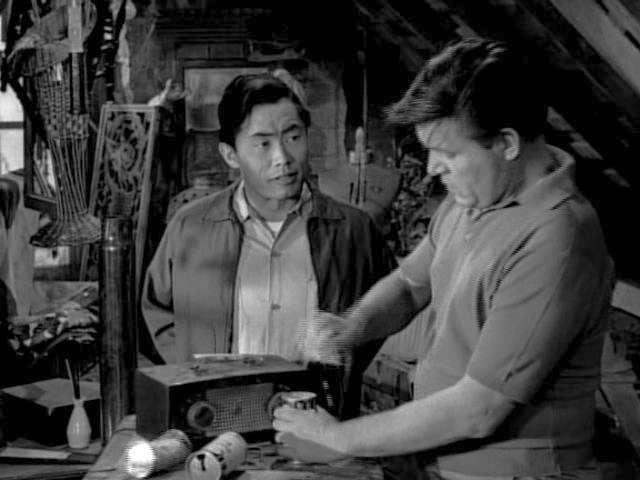 George Takei, who played the Japanese boy in the episode would probably be down for a cameo. In the far future of 1991, a group of settlers makes a home on a distant and harsh planet. The group gratefully follows the iron-clad rule of the leader Benteen. When a ship comes to take the colonists back to Earth Benteen realizes he's losing his grip on power and tries to convince the group to stay. Why They Should Remake It: The character of Captain William Benteen rules the colony with an iron fist and tries to destroy any attempt to usurp his authority. He’s willing to do to keep it alive. But in the end his bullheaded nature isolates him and he’s left alone. In the current political climate, it’s a fine reminder that the will of the people, not the individual, is what holds society together. It would be especially poignant to make Benteen a white man and the colonists minorities. An outlaw from the 1880s is sentenced to death. But as he hangs from the noose he’s sent forward in time by a well-meaning scientist. 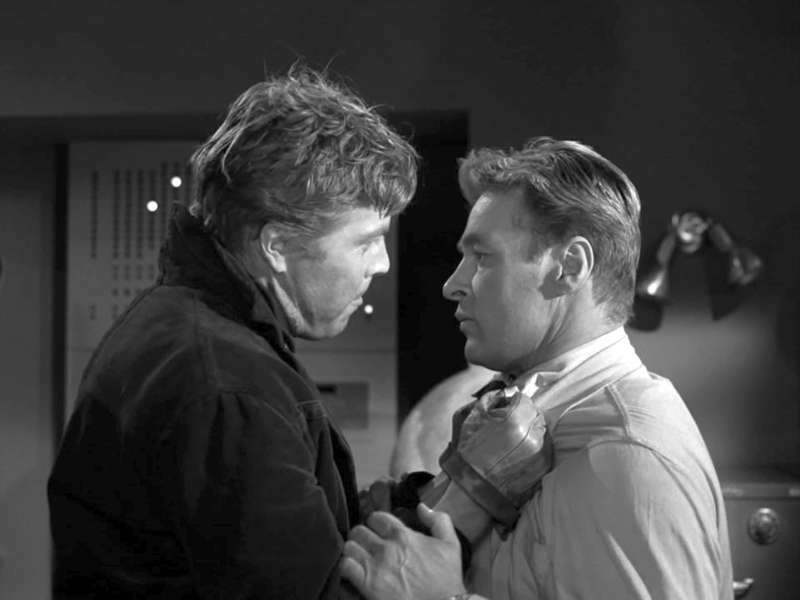 When the scientist discovers the man is a mass murderer he tries to send him back but gets killed. In the end, the man is killed by a criminal who, himself is sent forward in time to die by the same noose. Why They Should Remake It: There’s a moral argument at the heart of the story that a man sentenced to death shouldn’t escape justice. But this story was written before the number of false incarcerations was known. The numbers are especially high for black men in America. It makes the scientist's ethical dilemma more poignant. Does he have the right to choose the man’s fate without a trial? 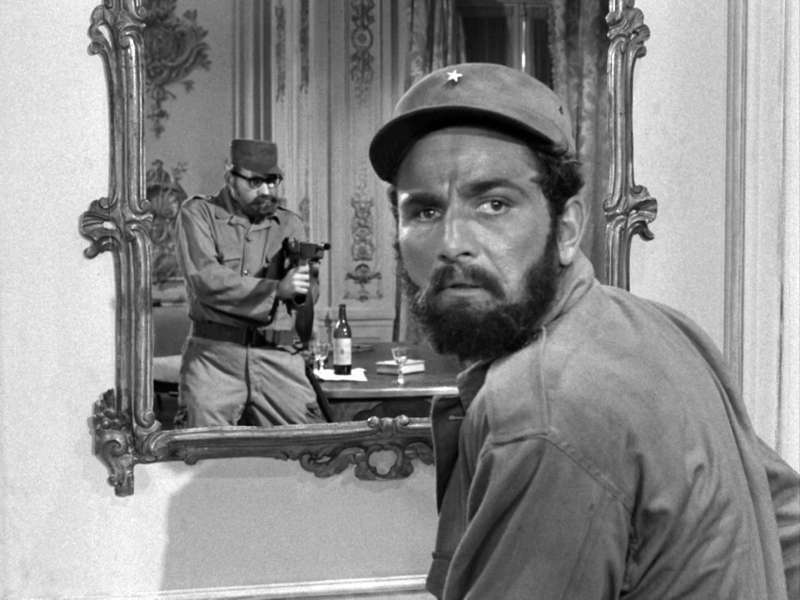 A South American dictator is overthrown by a revolutionary leader. 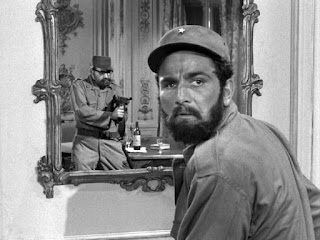 But the man is haunted by paranoid fantasies created by a mirror that supposedly shows him reflections of enemies. This leads him to mass executions before realizing that the true enemy was himself. Why They Should Remake It: The message of this episode is as powerful today as it was back in the 1960s. Sometimes people at the hands of power can take a fear of losing that power too far. It would be even more powerful if the country is the United States. It’s a cautionary tale that is as true today as it was then. From swimming pools to swinging nooses these are the ten episodes Jordan Peele should look at. Either way, it's exciting to see the show coming back and it's going to be amazing! No premiere date for the new “Twilight Zone” series has been set but it's coming next year to CBS All Access. Which episode do you think Jordan Peele should remake?